This tour package takes you to the best of beach holiday destinations in the Philippines! You will start your journey in Manila, the sleepless city of Southeast Asia, followed by a visit to the city of Dumaguete, which is also known as the center of learning in the south or university city to the many presences of universities in the city. From Dumaguete, you will make your way to the beautiful island of Bohol and Cebu where you will be able to enjoy breathtaking sights and sounds of the gorgeous blue beaches, clear blue skies, and sparkling white sands! From Cebu, you will continue your journey to the Province of Palawan and into the mystical city of Puerto Princesa — home of one of the New 7 Wonders of Nature, the Subterranean River — and the scuba diving paradise of El Nido. You will be spending five wonderful days in El Nido before departing for your next adventure. Let’s go! 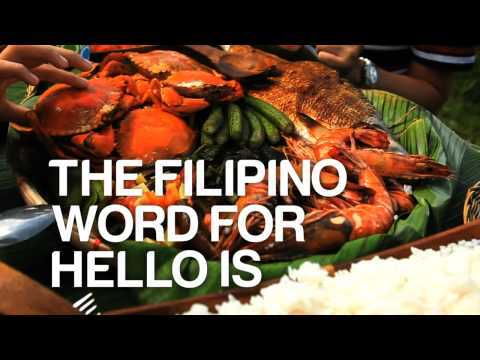 Welcome to Manila! Upon your arrival at the airport, you will be picked up by our representative and be transferred to your hotel. The rest of the day is free at your own leisure. Rise and shine, Manila! After breakfast, it’s time to check out and head to the airport to catch your flight to Dumaguete City. Upon arrival at the Dumaguete Airport, you will be fetched by our representative and proceed straight to your first tour: the Dumaguete City Tour. This half-day city tour will bring you to the main attractions of Dumaguete City, such as Siliman University, where we take you on a walking tour of the campus dotted with century old acacia trees. Next is a rolling tour of the city’s landmarks follows, including Claytown Pottery, Ninoy Aquino Park, the Convention Center, the bustling Public Market, and the historical Sta. Catalina de Alexandria Church and Bellfry. A rapid trip down south of Dumaguete takes you to Negros Oriental Arts and Heritage (NOAH) which houses the stone-craft factory and showroom in Bacong, and the century-old San Agustin Church. Alternatively, you may also journey southwest and upland to the town of Valencia through the tree-lined highway and visit Forest Camp, a cool and lush mountain resort with natural and manmade springs and pools, set amidst a forest setting. After breakfast at your hotel, you will proceed to take an hour’s drive to the north of Dumaguete brings you to Bais City, where an outrigger boat will cruise you along Tañon Strait to spot dolphins, and if you’re lucky, whales too! After the tour, you will be transferred back to your hotel for a night’s rest. After having breakfast at your hotel, you will have some time at your own leisure before checking out and departing to the Dumaguete port to catch a ferry to Tagbilaran (Bohol) in the late afternoon. Upon arriving at Bohol, you will be transferred to your hotel for check in. The rest of the day is free at your own leisure. Good morning! After having breakfast at your hotel, you will hop on the bus for a tour in the Bohol countryside. This full day tour will take you through the scenic countryside of Bohol and to places of attractions, such as the Blood Compact Shrine, the Baclayon Church & Museum, Chocolate Hills, the Bilar Manmade forest, Loboc River (lunch river cruise) and the Tarsier Sanctuary. After the tour, you will be transferred back to your hotel for an overnight stay. After breakfast and checking out from your hotel, your journey will resume on a two-hour ferry ride to Cebu. Upon arriving in Cebu, you will continue with a half-day Cebu city tour. This city tour will bring you to exciting tourist attractions in Cebu, such as Fort San Pedro, Magellan’s Cross -- the oldest street in Cebu, which is the Colon Street, and the famous Carbon Market where goods are sold at lowest price. Appreciate Cebu’s rich culture, creatively assimilating foreign influences with local folk sensibilities, as seen in old churches like the Basilica Minore and majestic Taoist Temple. Enjoy scenic beauty driving through hilly residential areas and colorful gardens of Beverly Hills. After the tour, you will be transferred to your hotel for late check in and the rest of the day will be free on your own leisure. After breakfast, you will have some leisure time on your own before checking out and continuing with an afternoon flight to Puerto Princesa, Palawan. Upon your arrival at the Puerto Princesa airport, you will be met by our representative who will transfer you to your hotel for check in. The rest of the day is free at your own leisure. Good morning, Palawan! After having your breakfast at the hotel and checking out, you will be taken on the Puerto Princesa City Tour where you will visit places of attractions, such as the Immaculate Conception Cathedral, the Mendoza Park, Plaza Cuartel, Iwahig Prison and Penal Farm, Mitra’s Ranch, as well as the Palawan Wildlife Rescue and Conservation Centre. After the tour, you will be transferred to your next hotel in Sabang to check in and stay for the night. After having breakfast at your hotel, you will begin your journey to the Puerto Princesa Underground River. A natural world Heritage Site, the Park is Puerto Princesa City’s premier ecotourism destination. It was inscribed in the prestigious UNESCO world heritage Site lists for its outstanding universal value and ecological significance, and as a natural site of intense beauty. After having breakfast at your hotel and checking out, you will then embark on a journey to your next destination in El Nido. This journey by road will take approximately five to six hours. Upon arrival at El Nido, you will be brought to your hotel for check in and overnight stay. The rest of the day is free at your own leisure. Breakfast will be served at your hotel and the rest of the day is free at your own leisure. If you aren’t tired from the trip, you can explore the surroundings of El Nido, which is famous for its beaches and natural landscape. El Nido is famous as a scuba diving destination. If you are a certified scuba diver, we suggest you go for a dive or two today and experience El Nido’s beautiful dive sites! It’s another beautiful day surrounded by gorgeous beaches! Do take a tour around the Big Lagoon, Small Lagoon and Nacpan Beach for a snorkel! Make your way to the famous Corong Corong Beach today or swing by Snake Island for another day of fun in the sun! Rise and shine! After having breakfast at your hotel, you will be transferred to the airport to catch your flight back to Manila before going back home. It’s been a pleasure taking you on a tour, we hope to see you soon!